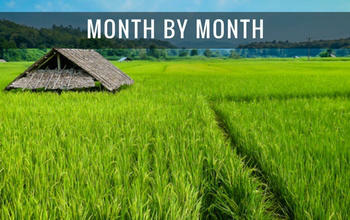 There are plenty of advantages to visiting Thailand in November. It’s a month where the country officially waves goodbye to the rainy season with most of Thailand experiencing a decrease in rainfall and a drop in humidity levels with the arrival of the cool season. The number of tourist arrivals also starts to pick up in November, particularly the second half of the month, but it still isn’t peak season so there are usually still some good deals to be had with accommodation. November also sees one of Thailand’s most enchanting festivals, Loy Krathong, which is celebrated nationwide with the release of small illuminated floats (krathongs) onto the nation’s waterways. The table below has been compiled from the official statistics supplied by the Thailand Meteorological Department (TMD). I always say that any time is a good time to visit Thailand, but if you like to explore cities and travel independently, then the combination of cooler temperatures and lower humidity make November a very good month to visit Bangkok and Chiang Mai. You’ll also notice that the statistics show that Bangkok and Chiang Mai both have lower average amounts of rainfall in November compared to the locations on the Gulf of Thailand and the Andaman Coast whilst Ko Samui stands out with a higher than average amount of rainfall. This is all due to the effects of the north-east monsoon and the north-easterly wind which prevails over Thailand from November to March. 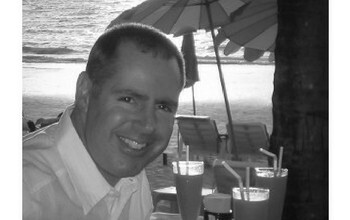 As the wind crosses the more exposed Gulf Coast of the southern peninsula of Thailand (e.g. Ko Samui and nearby islands) it picks up moisture which can result in heavy tropical downpours over Ko Samui during November. That doesn’t mean that you should completely ignore Ko Samui as a possible destination when making your travel plans during November, but the weather on Samui is certainly more unpredictable at this time compared to other areas of Thailand. The flip side of this particular coin is that there tends to be lower visitor numbers to Ko Samui in November, so some travellers who don’t mind taking their chances with the weather opt to buck the trend and take advantage of the fact that there are fewer tourists on Samui compared to peak season months. 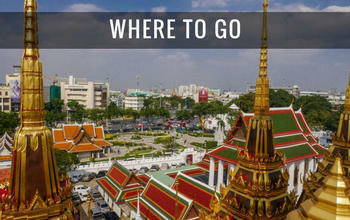 Which is the Best Thai Island or Beach Resort to Visit in November? If the weather is your main concern and you just want a beach holiday with the chance of as much sunshine and as little rain as possible you should consider looking at resorts and islands on the Andaman Coast. 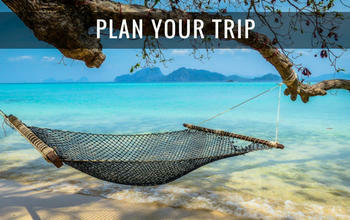 This includes, Ko Lanta, Krabi, Phi Phi and Phuket. Alternatively, the Eastern Seaboard is another option with islands such as Ko Chang and Ko Samet or the beach resort of Pattaya. As explained above, you may wish to avoid Ko Samui, Ko Pha Ngan and Ko Tao during November because of the unpredictability of the weather. 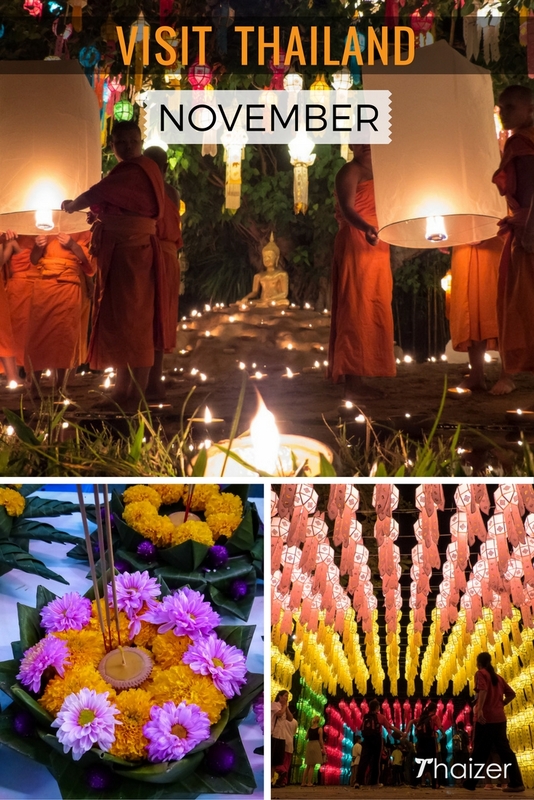 The undoubted highlight of the November festivals in Thailand is Loy Krathong. The exact date varies from year to year because it depends on the lunar calendar, but you can check the events section of this site for more details. If you have a chance to incorporate Loy Krathong into your trip, I would highly recommend doing so. 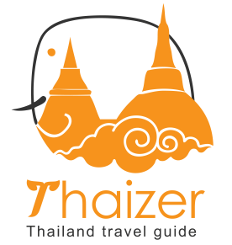 Celebrated nationwide, wherever you stay in Thailand you will get the chance to participate in this beautiful event. On the islands and beaches, krathongs are launched into the sea whilst further inland, rivers and lakes host the illuminated floats as Thais from all generations join together to enjoy this colourful festival. Although Loy Krathong is celebrated nationwide there are some cities which are particularly famous for their festivities. The ancient capital of Sukhothai is considered to be the spiritual home of Loy Krathong and Sukhothai Historical Park hosts a light and sound show with fireworks, lanterns and cultural displays. Heading further north, Chiang Mai is definitely one of the best places in Thailand to experience Loy Krathong with the Ping River sparkling with light as krathongs float gently downstream. 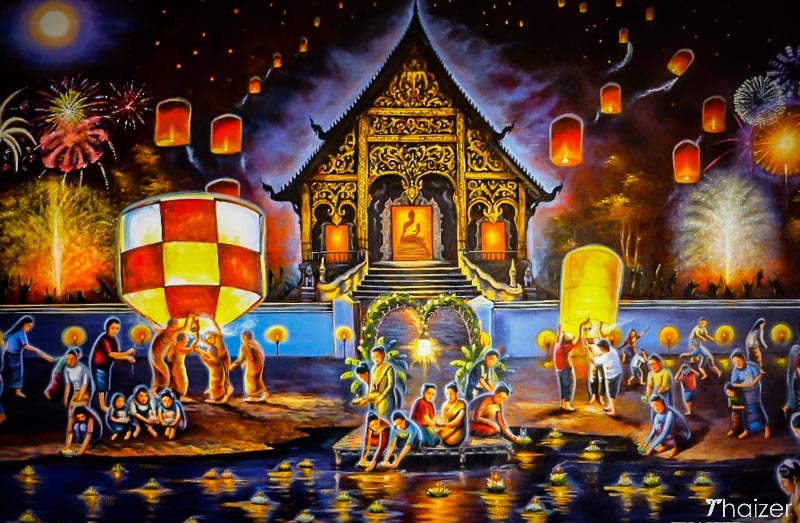 One of the reasons why Chiang Mai has become famous for its Loy Krathong celebrations is that it also incorporates the Yi Peng Lantern Festival at the same time. Many homes and shops in Chiang Mai put up traditional Lanna-style lantern decorations and the city hosts street parades, firework displays, beauty contests and cultural performances. But it is the release of khom loy (sky lanterns) that makes this event truly memorable in Chiang Mai. These are set off all around the city and in the surrounding villages and towns giving the night sky a surreal, but stunning appearance with the fire lanterns illuminating the darkness against the backdrop of the full moon. In addition to the Chiang Mai events mentioned above, there is also a mass sky lantern release at Mae Jo (just outside the city of Chiang Mai) which takes place in October/November. This is operated by a private Buddhist group and is often misleadingly described as the Yi Peng Lantern Festival by travel bloggers and on You Tube videos. Whilst it is a beautiful event to witness, there is much more to Yi Peng than this so please don’t confuse the Mae Jo event with the many other festivities taking place throughout the city of Chiang Mai during Loy Krathong and the Yi Peng Lantern Festival. Bangkok is another good place to experience Loy Krathong with the Chao Phraya River playing host to the main hub of activities. For true romantics, book an evening dinner cruise in Bangkok and you will be treated to a memorable display of floating krathongs. Make sure you book in advance though because there is high demand for these trips on the evening of Loy Krathong. Away from the crowds at the Chao Phraya River, Lumphini Park and Benjasiri Park provide a quieter place to enjoy the festivities with plenty of local families coming here to release their floats on the lake. In previous years, sky lanterns and fireworks were launched in some areas of Bangkok during Loy Krathong. Organised fireworks displays may still be arranged, but in 2015 the Bangkok Metropolitan Authority banned the unauthorised use of sky lanterns and fireworks. Other notable festivals taking place in Thailand during November include the elephant round-up in Surin and the Monkey Banquet at Lopburi. For both of these events, there is a high demand for accommodation and I strongly advise booking your hotel or guest-house well in advance. The same advice also applies to Loy Krathong in Chiang Mai and Sukhothai. These two destinations are very popular with Thai and overseas tourists during the Loy Krathong period which means that accommodation does fill up quickly and pre-booking of hotels is advised.